Turbulent times back then, of course, but it’s not like we’re currently living in an age of wine and roses. Swap ‘Party diktat’ for ‘market diktat’ and many of the same pejorative forces on art are still very much in evidence. Exploring the relationships between power structures, language and art, has been pretty much my thing for a few decades now. I see it in what gets featured on the BBC, what gets hung in galleries, what trends forecasters forecast, what wins prizes, what book covers look like, what editors and publishers choose to publish – and what they don’t. I see it in the rules we claim are ‘normal’ and ‘useful’ and ‘valid’, and in the dismissal of artists who don’t apply those rules. I see it in our narrow and mediocre artistic output, and when the same critics and commentators appear over and over again to service the same old endgame. I see it as we lose our ability to be critical of the mainstream and when we stop being brave in our creativity. I see it when we start to believe all art must have a direct function beyond art itself, and when we value art through numbers (copies sold, social media likes, viewing figures, audience share, bums on seats). I see it when we hear that an arts venue has to ‘wash its face’ and in the box-ticking exercises of funding applications. These criteria are the tools of political systems that fully understand the potential power of art and popular entertainment. They are fashioned to look democratic and meritocratic but are nothing of the sort. To accept them is to limit our understanding of what might take us forward as a society as a whole. They are tools that seek to suppress knowledge and deny real lived experience. The worst thing is, in seeking success as artists, and during the honest attempt to promote other artists, so many artists actually end up doing the work of these state systems, and at the very least being apologists for them. They become constituent parts of the market apparatus. Now, I’d hardly call myself part of the avant garde. I’m not avant garde enough for that! But I think about these things every day as I write. I ask, “Why am I writing? Who am I writing for? What am I writing?” And if it all looks a bit like I’m kowtowing to voices other than my own, I stop, change something, mess it up a bit. So that’s what I was thinking about when I was thinking about Prokofiev today. And now I’m off to write some poetry about working class voices and the terminology of finance capital. Sounds like a jolly bunch of laughs, doesn’t it! Image: Prokofiev, reading this post, earlier. Well, it has felt like a very slow week here. ‘Haulage’, I called it over on my @mwbewick Instagram account. And the world has hardly been light. It’s a reminder that amidst such midwinter gloom, it won’t be long until spring is here. Which in turn reminds me of how much writing I’ve promised myself. I have three separate poetry projects on the go at the moment, and the trick, I think… is not to stop. Even if at times it feels like nothing more than haulage. Dunlin Press is inviting submissions for a new book, Port, to be published in 2019. Non-fiction, reportage and journalistic reports, poetry, fictions, local history, biography, exploratory and experimental texts will be considered. We are looking for contributions from around the UK and that map ports – the cities, towns and villages where they are located, the landscapes they are part of, the places they connect, the people who inhabit them and work there, and the nature that co-exists there. What is a port? A harbour? A haven? A place of arrival? A point for departure? A port is a place where ‘here’ contacts ‘there’; where known and unknown meet; where perceptions of possible experience are expanded. From the traditional fishing village to the mechanised container city and the old docks redeveloped into marinas and cultural quarters, time shapes our ports and ports shape people and society. Who lives there? What occurs there? When and why does the success or failure of a port occur? How do ports frame our experience of island life? Dunlin Press is seeking contributions for a new book that will explore some of these questions, in writing that challenges what we know of ports around the UK. Which port has made an impact on you? What would you write about it? We are particularly interested in intelligent writing that contends with social issues, psychogeographies, and exploratory and experimental texts and forms. All writing should be original, of high quality and offer something intriguing, insightful and compellingly different. For full submission details, see here. The great thing about opening up a project for submissions is that you never quite know what you’ll get, and while we have a clear editorial vision about what we ‘like’, the final form and breadth of such a project will always really be in the hands of the talented writers – many of whom we might not yet be familiar with. The deadline for submissions is end of March 2019, so this is a time of suspense for us at Dunlin Press. We’re really looking forward to seeing what falls into our inbox. Bad bad poems. The worst. and I’ll score them like Hendrix. Have you seen my chickens? …being just some of the words I’ve read and liked this year. Did we all understand them? Does it matter? Should I provide more context? Would it help? What are we looking for here? Are we looking for answers? Should a poem have answers? Is that a good poetic structure – to pose a question and drill down into it, excavate some sedimentary truth, some human remains? No wonder poets are always concerned with details and parameters. Start small, build out. Write what you know. Don’t run before you can walk. Never fall over. A falling over poem is a bad poem. Don’t confuse your audience. If you can’t understand your poem then who else is going to read it? Write poems that appeal. If a poem doesn’t appeal it won’t have an audience. To appeal is to aim for truth, however small. A broad audience is better than a narrow audience. But big ideas aren’t better than small ideas. If your poem connects with a broad audience it must have something, something good. We are all of us seeking these simple truths. We seek definition, clarity. Poems that only speak to poets are bad poems. Bad bad poems. The worst. Are you a poet? Are you not also a person? I am a person. When a poem appeals to me as a poet it also appeals to me as a person, as I am a person before I am a poet. Ah! There’s that thought! That poetry can transform the word itself, and maybe the world, or our understanding of it (which, surely, is all we have). Is the world any more than the word, in any case? Language, power, etc. Out, out damned spot! Are these thoughts not harmful to poetry? ‘Poetry should be left-aligned, Times New Roman, 12pt. So much as an indent gives us shivers.’ I wrote that, earlier this year. I was joking, obviously. I mean, sometimes it’s like the 20th-century never happened. Some terrible detour into imagist, stream of consciousness, cut-up, bricolage, concrete, cubist, surrealist, Dada, postmodern, post-structuralist, post-colonial, deconstructionist radical feminist radical nonsense that we should pretend never happened. I mean, how would any of that help describe our world? A whole century of sham poetics. Better we return to iambs and hexameters, nice neat quatrains, learn once more how to describe a flower. We all love flowers, don’t we? Or explain how difficult it is to be a mum, to lose a dad. Real lives, real thoughts, real poetry. Those old rhymes in Hallmark cards – at least they meant something. Bring on the Instapoets, the Nationwide ad masses. Don’t try to be too clever. But remember to make it modern (which means urban, not rural – and the hardships, not the joys, of city life). And let’s remove the complexities. Let’s get to the point, have each metred footstep lead us on to the petits vérités of life. And then let us sleep, and let our audiences sleep, sound. 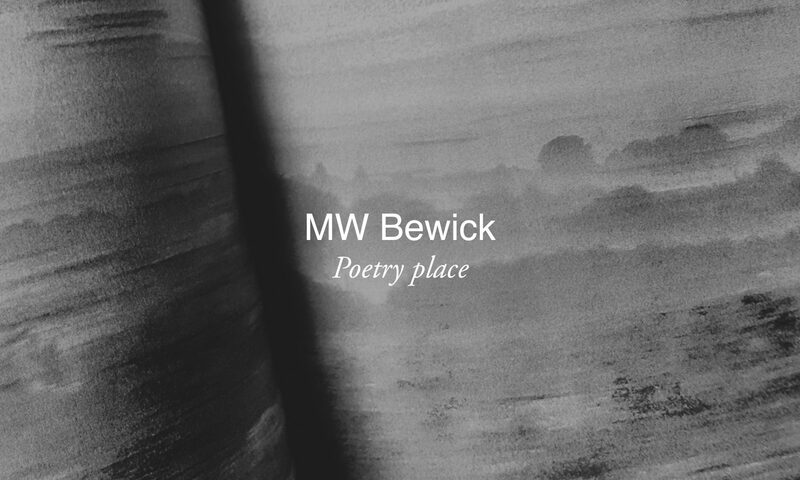 For the past year, between writing poetry, I’ve been busy with another project – and it’s launching this week. The Orphaned Spaces is a rumination on life and loss through the prism of liminal spaces – derelict land, brownfield sites, edgelands – caught between moments of dilapidation and regeneration. I’ve provided the words and a few photos for it, and Ella Johnston has created some beautiful illustrations, still-life nature photography, and pressed flower images. The project takes the form a paperback book (pictured in this post), but also a highly limited edition, made to order box set, with hand-stitched booklets, archival prints, wildflower seeds, a reliquary and more. It’s quite a thing! The project was only meant to be a brief interlude for us here at Dunlin Press, but it escalated. We spent a year visiting places that had fallen into dereliction – that had been ‘left behind’ – collecting images and information, and working out what these spaces mean to us. And once you see the sites, they seem to appear everywhere. Suddenly, the perimeter of a car park or building site, a crumbling factory or depot, a canal wall, a railway siding, all become places of interest. The words in the book take the form of a diary that runs over the course of a year. They were made from notes made in my journal at the time, in the field, as we explored or passed these ‘orphaned spaces’. They’re about the natural world, and about place, of course. But really they’re about time, and about how we cope with loss and with change. They’re about what we permit ourselves to ‘see’, and what we turn away from. Life springs from these deserted places. It persists, even when it seems as if it can’t. Fittingly, the magenta cover image of The Orphaned Spaces is of Rosebay willowherb – ‘fireweed’, exploding out of a black background. It is, of course, the plant that sprang from the craters of a bombed-out London after the Second World War to become a symbol of the city – and which has spread, like so many other species, via the conduits of rail and road, naturalising itself in areas of what’s sometimes called ‘waste ground’, all across the land. There’s more about the book and box set over at the Dunlin Press shop.